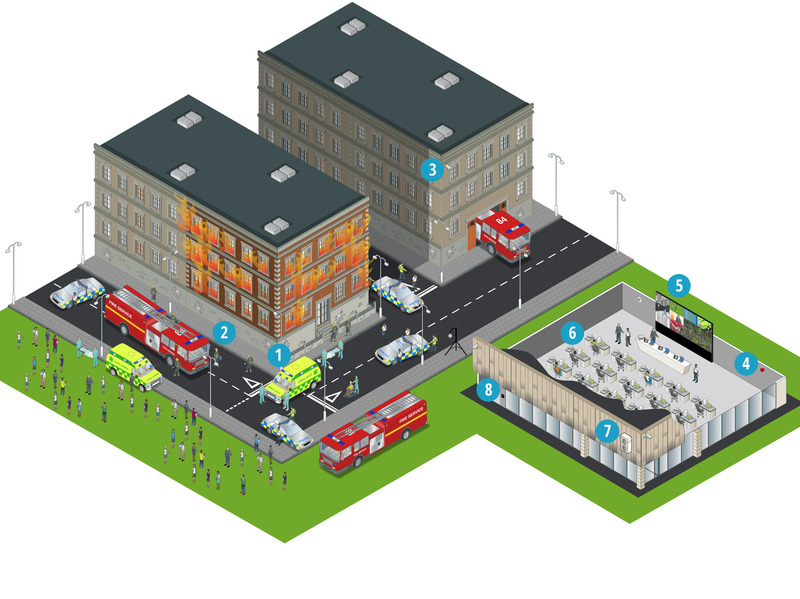 How do Panasonic solutions support emergency services? Respond fast, respond effectively, respond accurately. Panasonic’s emergency services solutions are designed to help you do all three. Flexible, smart communication systems are crucial for all organisations. Panasonic offers a full suite of communications solutions. The stabilisation and medical treatment a first responder provides to a victim can mean the difference between life and death. The versatility of Panasonic Toughbook mobile computers creates one durable, fully integrated system that allows first responders to maximise pre-hospital patient care and operational efficiencies. Panasonic’s video surveillance imaging technology increases situational awareness of events as they unfold, improves response time during emergencies, and documents evidence that aids in the arrest, investigation and prosecution of criminals.